Saskatoon is a thriving city graced with the vibrant beauty of nature. 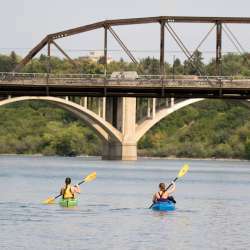 Divided by the winding South Saskatchewan River, Saskatoon&apos;s east and west face are joined by a series of bridges and lined with several kilometers of trails to jog, walk and explore. 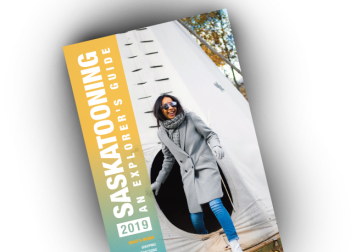 A city infused by a lively ambiance, friendly hospitality and rich, diverse cultural experiences, Saskatoon opens its hearts to visitors who delight in the city&apos;s mix of events, festivals and attractions. Saskatchewan&apos;s largest city provides convenient amenities, yet an inviting natural setting. 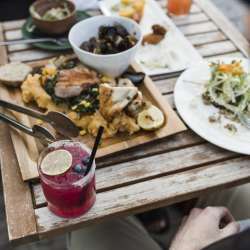 A refreshment break is easy in Saskatoon - rejuvenate with an espresso in the trendy Broadway shopping district or enjoy delicious authentic local cuisine in one of many fine restaurants. 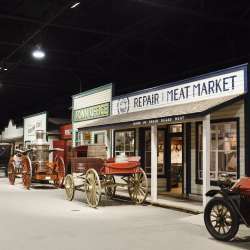 Check out the latest technology and research advancements, play a round of golf on one of the several award-winning courses, watch Shakespeare under a tent or explore 6,000 years of Indigenous culture. Our friendly and experienced information counsellors are ready to help make your trip a wonderful time. Tourism Saskatoon&apos;s office is open Monday to Friday 8:15am-5:00pm, located at 101-202 4th Avenue North. When in Saskatoon, tune to Tourism Radio 91.7 FM for information on festivals, events and attractions. For further information, call (306) 242-1206 or 1-800-567-2444.